Lonely hospital days are over. With Nexus Home Health, Inc., patients can opt to choose to stay home and recover with the help of a home health care professional. Why is home healthcare more favorable than a hospital room? The patient feels more free and independent. The healthcare provider can attend to immediate medical needs. The patient has more privacy. It reduces the changes of readmission to the hospital after being discharged. 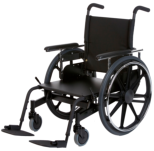 We will arrange for rental or purchase of durable medical equipment and assistive devices.